El presente artículo busca explorar el lugar que tiene la mente en algunas comprensiones recientes sobre la acción divina en el mundo. Para hacerlo, plantea el desafío que la Ciencia Moderna pone a las comprensiones tradicionales de causación divina y expone algunas de las aproximaciones que han intentado dar sentido a la posibilidad de su actuación en una cosmovisión de la naturaleza organizada a través de procesos regulares. En particular se detiene a exponer las similitudes y diferencias de las posturas de Arthur Peacocke y Philip Clayton, pues en ambas la mente ocupa un lugar fundamental para entender la relación de Dios con el mundo y, especialmente, con la agencia racional. CARROLL, E. William (2008) “Divine Agency, Contemporary Physics, and the Autonomy of Nature” Heythrop Journal, 49 (2008), 582-602. ___________________ (2011) Creation and Science. Has science eliminated God? Londres: Catholic Truth Society. CLAYTON, Philip & KNAPP, Steve (2011) The predicament of belief. Science, philosophy, faith. Oxford: Oxford University Press. _____________________ (2006) “Emergence from Quantum Physics to Religion: A Critical Appraisal” en Philip Clayton y Paul Davies (eds. ), The Re-emergence of Emergence. The Emergentist Hypothesis from Science to Religion. Oxford: Oxford University Press. CLOUSER, Roy (2005) The myth of religious neutrality. An essay on the hidden role of religious beliefs in theories. Notre Dame: University of Notre Dame Press. HARRISON, Peter (2008) “The development of the concept of laws of nature” en Creation: law and probability. Londres: Ashgate. GILKEY, Langdon (1962) “Cosmology, Ontology and the Travail of Biblical Language” en Concordia Theological Monthly, Vol. 33, No. 3. MCGRATH, Alister (2015) “Hesitations about Special Divine Action: Reflections on some scientific, cultural and theological concerns” en European Journal for Philosophy of Religion 7, no. 4: 3-22. RAMSEY, Ian (1973) Models for Divine Activity. Londres: SCM Press. RUSSELL, John (1998) “Does ‘the God who Acts’ Really Act? New Approaches to Divine Action in the Light of Science” Theology Today. 54:I, 43-65. PEACOCKE, Arthur (1993) Theology for a Scientific Age: Being and Becoming—Natural, Human, and Divine. Minneapolis: Fortress Press. __________________(1999), ‘The Sound of Sheer Silence: How Does God Communicate With Humanity?’, en R. J. Russell, N. Murphy, T. C. Meyering y M. A. Arbib (eds. ), Neuroscience and the Person: Scientific Perspectives on Divine Action. Notre Dame: University of Notre Dame Press: 215–47. __________________ (2006), “Emergence, Mind, and Divine Action: the Hierarchy of the Sciences in Relation to the Human Mind-Brain-Body” en Philip Clayton y Paul Davies (eds. ), The Re-emergence of Emergence. The Emergentist Hypothesis from Science to Religion. Oxford: Oxford University Press. POLLARD, William (1958) Chance and providence: God’s action in a world governed by scientific law. Nueva York: Faber and Faber. SCHWOBEL, C (1992) God: Action and Revelation. Kampen: Kok Pharos. SHULTS, LeRon (2009) “A Philosophical Introduction to Divine Action” en Philosophy, Science and Divine Action Vol. 1. Brill: Leiden. 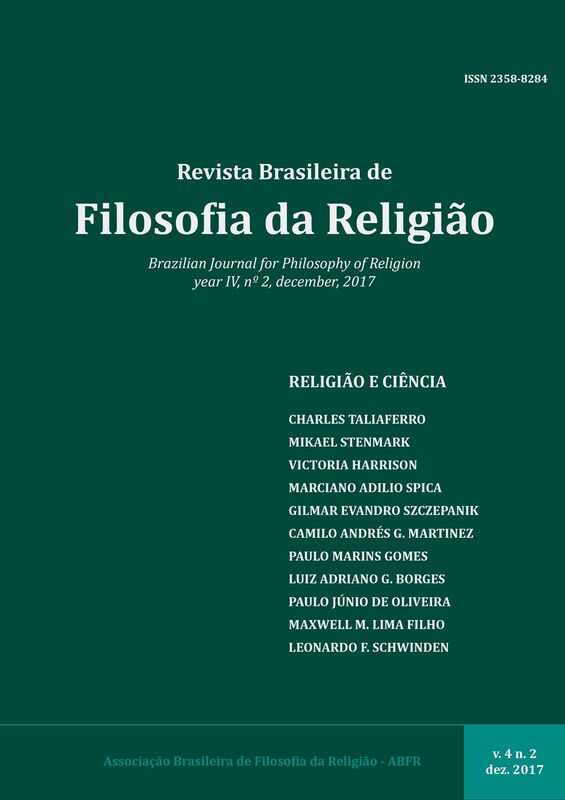 SILVA, Ignacio (2015) “A Cause Among Causes: God Acting in the Natural World” en European Journal for Philosophy of Religion. 7/4, pp. 99-114. TAYLOR, Charles (2006) A Secular Age. Cambridge, Massachusetts: The Belknap Press of Harvard University Press. VON HAERING, T (1913) The Christian Faith: A System of Dogmatics. Londres: Hodder & Stoughton. WILHELM GRAF, Friedrich (2007) “God’s Brain. Some critical remarks on modern neurotheology” en European Review, Vol. 15, No. 2, pp: 257-264. WILES, Maurice (1983) “Religious Authority and Divine Action” en O. C. Thomas, ed., God’s Activity in the World: The Contemporary Problem. Chico: Scholars Press. WHITE, Vernor (1985) The Fall of a Sparrow: A Concept of Special Divine Action. Exeter: Paternoster Press.